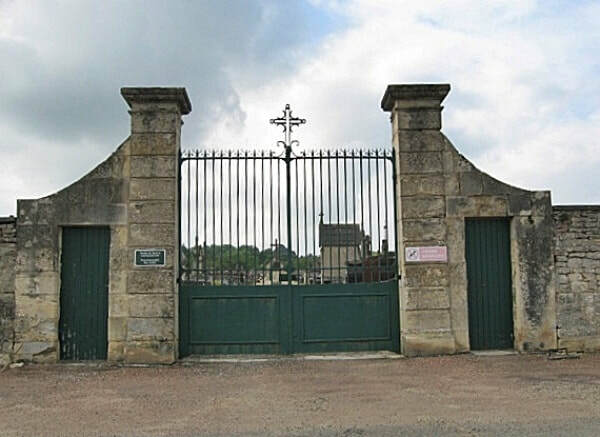 St Pierre-le-Moûtier is a village 25 kilometres south of Nevers, 30 kilometres north of Moulins and 75 kilometres east of Bourges, at the intersection of the N76 and N7. There is a statue of Joanne d'Arc in the centre of the village. Take the road directly behind this statue and the communal cemetery is approximately 200 yards along this road on the right hand side. 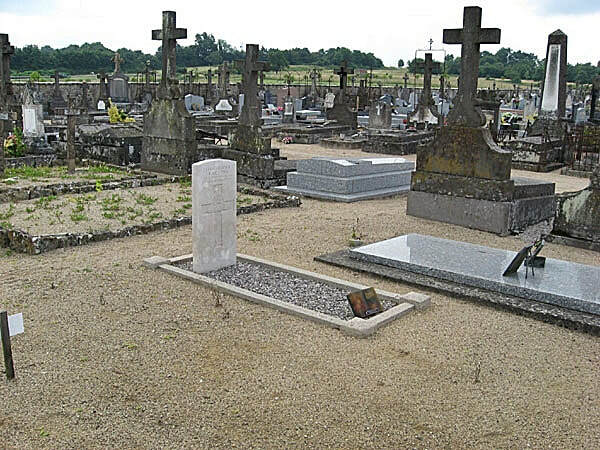 ​The grave of the British soldier will be found up the centre aisle on the left before the first aisle intersection. 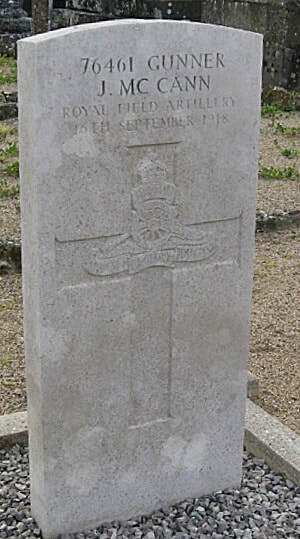 76461 Gunner J. McCann, Royal Field Artillery, died 16th September 1918.